A recent survey by an eye-tracking technology company examined the use of online dating websites by men and women. Authors of The Single Mans Manual, A Guide For Men Who Are Suddenly Single Again, believe the results reinforce some of the key dating tips shared in their book. There can be little argument that the internet has changed the way we connect with each other. However, it is in the world of online dating that it has changed the playing field for the development of personal relationships. A recent survey by Tobii Technology has confirmed, in a very technical way, that men in particular, need to refine the way they approach dating in a digital age. 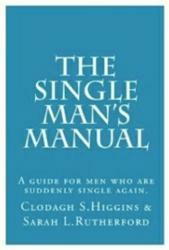 Authors of “The Single Mans Manual, A Guide For Men Who Are Suddenly Single Again” Sarah Rutherford and Clodagh Higgins, believe that the survey’s findings support several of the dating tips shared in their book. The Single Mans Manual, however, tackles other issues faced by men who find themselves suddenly single again - including self esteem, social interaction, fitness and nutrition advice. While the book is aimed at all age groups, older men dating younger women have found it particularly useful. “Men who have been out of the dating scene for some time often need to learn how to relate to women again, and how to present themselves in the best possible light - in person and online,” said Sarah. Ms Rutherford believes that the findings of Tobii Technology highlights the need for having an attractive presence on online dating sites, and that it not something that should be thrown together after having ‘a few beers with the boys’. 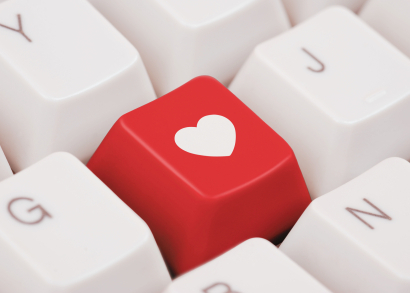 One key dating tip, therefore, is to create an attractive and engaging online profile. Investing the time to dress well and have a nice photo taken, she believes, will make a real difference to the responses received. 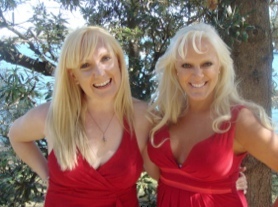 The Single Man’s Manual has been created by Clodagh Higgins and Sarah Rutherford, who, through their own dating experiences, met a variety of men who were searching for companions, and love. These experiences showed them that single men, who are looking for relationships, need help – big time! And, because they are women on a mission, they don’t beat around the bush! They know the big turn offs for women: poor hygiene and the moaning about ‘exes’! In The Single Man’s Manual they reveal dating tips that are the big turn-ons as well. Most importantly though, Clodagh and Sarah interviewed men who had just come out of long term relationships. It was through these men’s stories that many of the issues surrounding being ‘suddenly single’ were put into perspective for them – and the real heart of the Single Man’s Manual began to beat. The Single Man’s Manual – A Guide For Men Who Are Suddenly Single Again, is now destined to become the foundation of a new TV program.